David Mole: David’s musical interest became clear in his early childhood: he studied music at quite a young age, and played the drums for years; however he never wanted to create a band: he loved the drums for themselves. His meeting with electronic music decided his future: he started collecting music passionately, both vinyls and on digital platforms. After playing at many private parties, he met Pöli and Polarize, the founders of MADE INN, and soon after this he joined the team, and was on the lineups between 2008 and 2011, and shared the decks with the best artist of the scene, such as Rhadoo, Masomenos, Nina Kraviz, Lee Burridge, DJ W!LD, Matthias Tanzmann, Bill Patrick or Matt Tolfrey. 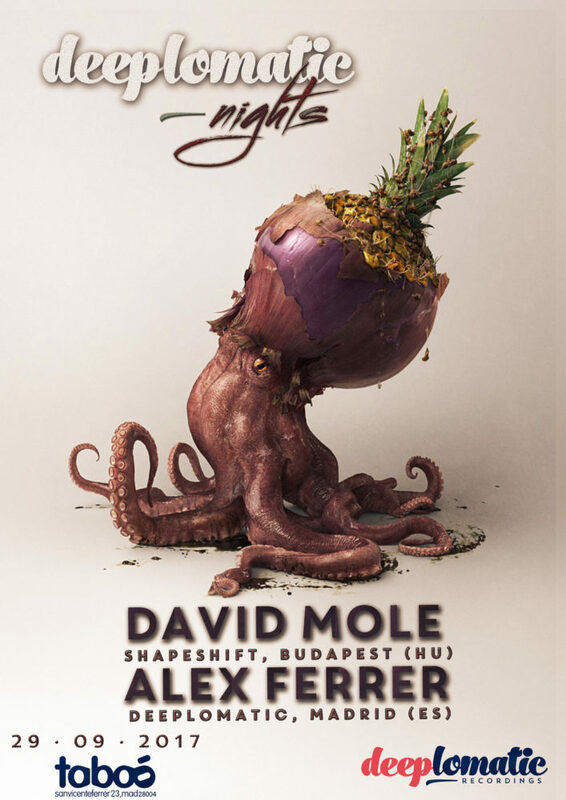 Recently he started his own clubnight series, called Shapeshift. David Mole has a forward-thinking musical style. He prefers deep, techy and minimalistic sounds, but also plays dirty, groovy house tracks, and deep house. But the most important thing in his music is harmony.